A PRIZE OF GOLD is a minor heist yarn set in post-war occupied Berlin. 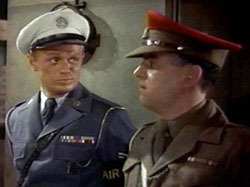 US Air Force police sergeant Richard Widmark decides to hijack a bullion shipment on its flight from Berlin to London. He recruits several British soldiers to help him out. He’s doing this so his German girlfriend and a group of orphans (thank God for orphans to justify pretty much anything) can lam it to Brazil in style. Not a bad premise, but director Mark Robson generates very little tension, the romantic entanglement is too melodramatic and it wraps up in a finale that’s simply absurd. 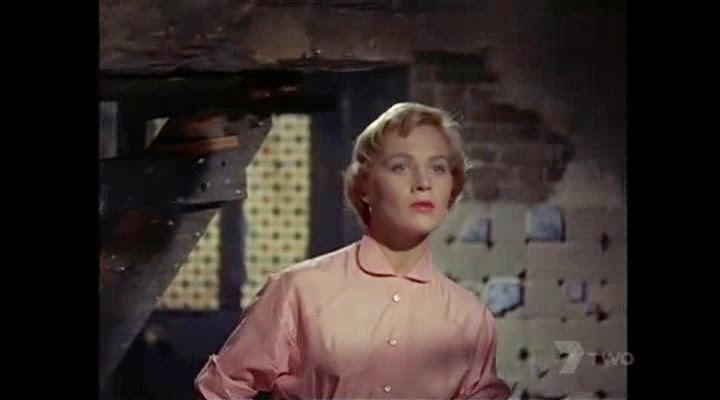 Mai Zetterling is attractive and Nigel Patrick delivers some sarcasm adeptly, but the usually solid Widmark’s performance is one of his weakest. It came out in 1955, bottomed out with grossing $2,300,000, a dismal 118th place for the year. 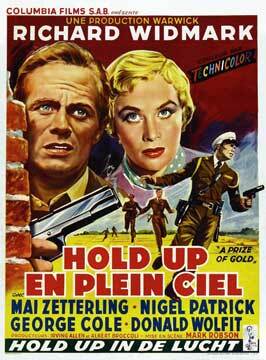 Runs 98 minutes, and features George Cole, Donald Wolfit, Karel Stepanek and Eric Pohlmann.